CLA's Zoia Horn Intellectual Freedom Award honors Californian people, groups, and organizations that have made significant contributions to intellectual freedom. Awardees are selected based on recent or important lifetime contributions to intellectual freedom. 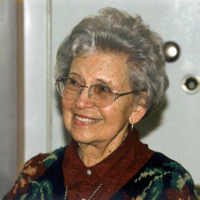 The Zoia Horn Intellectual Freedom Award honors the memory of California librarian Zoia Horn (1918-2014), who in 1972 chose to serve time in jail rather than betray confidential information. Ms. Horn's experience sets an example of integrity over personal comfort, and has been a model discussed in library literature and shared with generations of library students everywhere. A key goal of the Zoia Horn Intellectual Freedom Award is to celebrate and honor other selfless examples of commitment to intellectual freedom that help preserve free speech in an open society. A maximum of one award is given each year. The Zoia Horn Intellectual Freedom Award recipient is honored at the annual CLA conference. The award is coordinated by CLA's Intellectual Freedom Committee. Nancy Howe is the County Librarian and Executive Director of the award-winning Santa Clara County Library District (SCCLD). A veteran of SCCLD, Nancy started as a substitute librarian, holding 7 positions with increasing levels of responsibility over 20 years. In 2013, she took a leave of absence to manage the campaign for a special 20 year tax measure for the library which passed with 82% yes vote. She currently serves as co-chair of Silicon Valley Reads and is a member of San Jose State University’s School of Information’s International Advisory Council. Prior to joining SCCLD, she was the Director of Planning & Fund Distribution for United Way of Silicon Valley. Howe received a B.A. and a master’s degree in Library and Information Science from the University of California Los Angeles (UCLA). Persons nominated for this award are not required to be CLA members. At least two letters of support and/or items of supporting documentation such as newspaper, newsletter, or journal articles. Please note: when submitting supplementary files by email, please label your files as follows: Zoia_the nominee's last name_document (e.g. : Zoia_smith_newspaper article; Zoia_smith_newsletter). Nominations should be submitted using the online nomination form below. Supplementary files may be emailed to Holly Macriss. CLA's Zoia Horn Intellectual Freedom Award is coordinated by CLA's Intellectual Freedom Committee. The committee reserves the right not to give an award if a qualified candidate is not found. Nominations and all supplementary materials must be received by 5:00pm on the submission deadline. Postmarks will not be accepted. If you have questions, please contact committee chair Melanie Lightbody.